This is really just as easy as it looks. 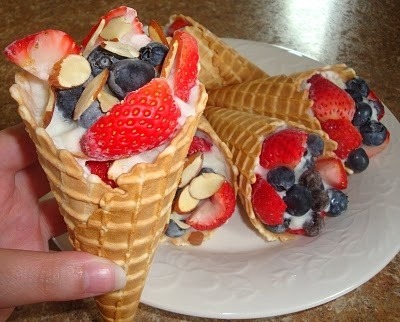 Freeze yogurt in a waffle cone and top with some fresh fruit! Now that’s a healthy dessert made in minutes.